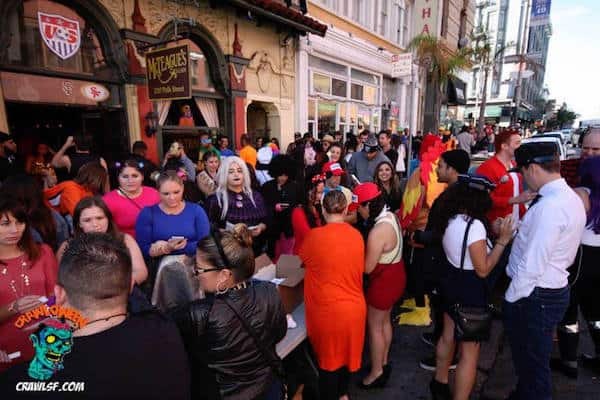 Dance and Drink the night away on Friday, October 27 at the San Francisco Halloween Club Crawl. 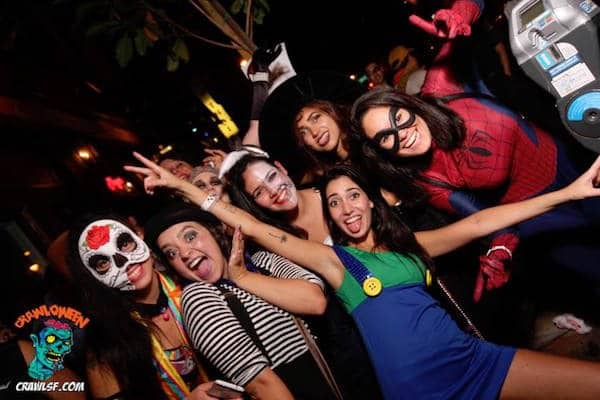 Throw on your costume and enjoy drink specials, Djs and more at some great San Francisco Bars. MAYES – MCTEAGUES – LUSH LOUNGE – BLUR – VERTIGO – R BAR – JACKALOPE – PLAYLAND and more! $3 Drink specials at every bar from 7PM to 11PM! HOW DOES THIS WORK? Once you check in and receive your wristband and Pub Crawl Map, you can choose your own path. There will be too many people to be on a specific schedule, so you can just follow the crowd at your own pace. Specials will be available at ALL the bars during the event times (7PM to 11PM). Tickets Include entry to the Pub Crawl and $3 Drink Specials from 7PM to 11PM! The Best San Francisco Halloween Party for 2017!